This is something of my invention; a long chocolate brown leather strap (that matches the side roof straps) to hold the front of the roof down. It gives that extra piece of mind when towing by looping round the front roof lifting handle and the chassis A frame below. 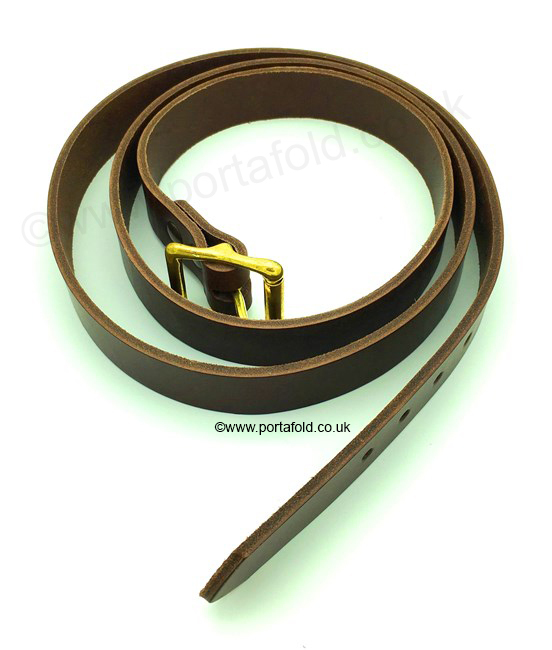 British-made heavy duty leather straps with solid brass buckles. Use the Contact Us page for further information or to place an order. portafold.co.uk is not responsible for the content of external sites. ©2005-2019 portafold.co.uk All rights reserved.